Our wines are created by an uncompromising and passionate focus on quality and attention to detail in all aspects of winemaking process. This permits the wine and the vineyard to express their true potential. The grapes are processed in a cooling room. We have controlled cellars equipped with modern resources such as temperature controlled tanks and our own bottling lines. This ensures that the quality remains uncompromised throughout the wine making process. Winemaking is done in different tanks according to the different kinds of grape and of plots of land where the grape has come from in order to respect the specificity of each terroir. Most of the wine processing equipments and tanks are imported, mainly from Italy, which is known for being one of the best manufacturers of stainless steel cellar equipment. In addition to this, the entire method of wine-making is finely orchestrated and monitored by the world famous wine consultant Michel Rolland, to give a discrete style and balance to the wines. For the last four years, Karishma Grover and Mathias Pellissard have been our winemakers. – Meticulous grape selection on sorting tables: we remove all the leaves, unripe and unwanted berries that can give greenish and unpleasant aromas. – Whole-bunch pressing technique to preserve the freshness and maintain the softness of the wine. This captures the essence of the fruit from the vineyard. – New Oak Barrels aging for our premium wines which gives the wines interesting spice, vanilla or even smoky aromas and enables you to keep them for a longer time. “Best wines are made from the best vineyard”, says Kanwal Grover, founder of Grover Wines and the father of Indian viticulture. Our skilled team works scrupulously using sustainable practices coupled with selective hand harvesting. Daily attention is given to avoid hazards. Our wines remain appealing yet distinctive in style by applying up-to-date viticulture and winemaking techniques which capture the essence of the fruit from the vineyard. 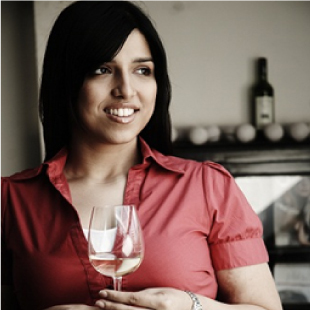 Kapil Grover’s eldest daughter Karishma has carved a place for herself in the winery and the wine industry in general. This young graduate in Viticulture and Enology from University of California, Davis, is the one who first championed the Viognier. She felt it would do well in India, given its “fruit expressiveness” and also introduced art collections with designer labels for Grover Wine. It was after an internship at Napa Valley, that she joined Bangalore’s Grover Zampa winery, working both in India and Bordeaux, France, with world renowned wine consultant Michel Rolland. Karishma enjoys the challenge and is actively involved in Grovers’ marketing and public relation departments. Her priorities are to maintain a high level of quality and keep on educating Indians in wine culture. With her, Grover Wines is working towards meeting both the challenges. Michel Rolland is one of the most famous and influential French oenologist in the world. Born into a wine making family, he grew up on the family’s estate Château Le Bon Pasteur in Pomerol (France). After high school, Rolland enrolled at Tour Blanche School of Viticulture and Oenology in Bordeaux with his father’s encouragement. He graduated in 1972. 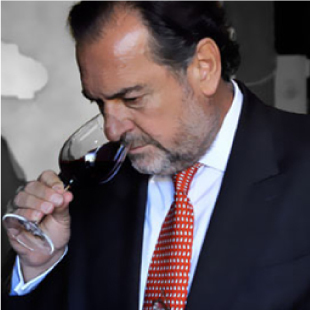 From his consulting work and media presence, Michel Rolland has influenced many aspects of both the French and global wine industry. What about India? It all started in 1994 after meeting Mr. Grover in France. Since then, he has been helping Grover Zampa to rework their entire vineyard management using more efficient and natural methods, reduce yields to improve fruit quality and concentration of flavours. He also advised modernisation of facilities at the winery. Since then he keeps bringing his expertise to Grover Zampa. Mathias graduated in Viticulture, Winemaking and Marketing in France from the famous Agriculture School of Mâcon – located in the wonderful wine producing region of Burgundy – and from the Sup Agro University in Montpellier. During his career, he has overseen 22 vintages in 10 different countries like New Zealand, Australia, South Africa, USA, China, Moldova to name a few. He has been a consultant for the last 8 years. Eventually, he chose India and joined Grover Zampa Vineyards in 2011. 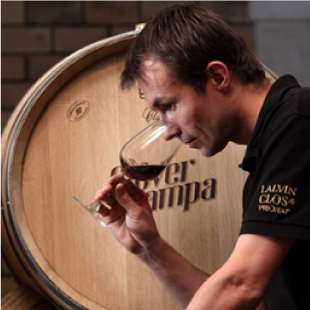 Through the knowledge that he has acquired from his international experiences he now dedicates himself to quality wine making and produces premium wines for Grover Zampa Vineyards.